Come enjoy a unique experience, open your heart to exhilaration. A cacao ceremony is an opportunity to connect to yourself and open your heart. 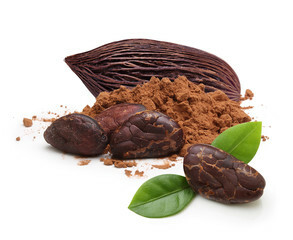 Because of cacao’s ability to increase your connection to your inner self and your heart chakra, it aids in any transformational shift you are working towards, whether you are looking to deepen your understanding of who you are, release old patterns and traumas, or move into a more self-confident space. Whatever your intention, the cacao facilitates the insight and awareness to move towards that goal. In this class Byron will lead you through a deep and slow heart opening flow, increasingly connecting within, then moving into a meditation with intention setting. The ceremonial cacao (in liquid form) will be consumed and the intention will be further explored through deeper heart chakra opening. Cost is $20 for the single class, includes the ceremonial liquid cacao from Guatemala.